ElegantEstate was designed to accommodate those in the property rental and real estate industry. 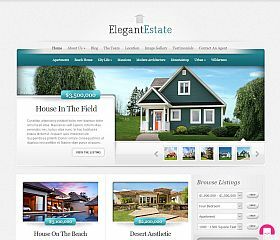 Very simple and easy to use, this theme is flexible enough to accommodate many different types and styles of sites – from real estate businesses to private vacation and nightly rentals. VillaRental can be used to manage a single property or multiple properties (great for property managers). 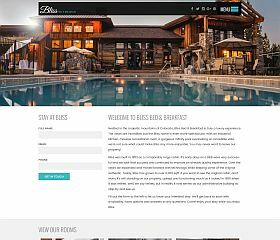 Whether you want to promote a vacation rental, have a management/listing company, set up your own site like Airbnb, Homeaway, or FlipKey – this solution delivers all of the features necessary for a state-of-the-art website. Vacation Rental allows you to manage and book properties like vacation rentals or privately-owned units and supports handling multiple properties. This theme provides you with a solution for those who book vacation homes – whether it’s your own property or one(s) that you manage for someone else, and is one of the few themes that have been specifically designed for the vacation rentals and accommodations industry. WP Rentals was inspired by rental sites like Flipkey, Airbnb, HomeAway, and others – allowing you to create your very own property/space marketplace. 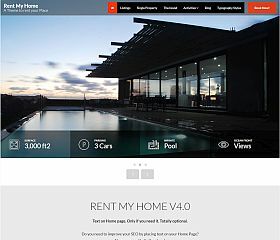 Rent My Home is a theme that allows you to customize nearly every aspect of your site (from colors to fonts to layouts) with built-in theme options. This responsive theme includes custom templates and the ability to upload your own logo, change colors, add captions, promote content via the built-in slider, and much more. 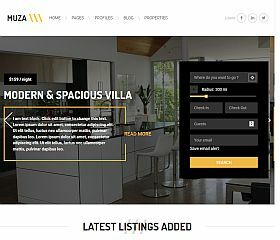 Luxury Villa is a WordPress theme that delivers a modern look that is sure to intrigue and capture the attention of your visitors. 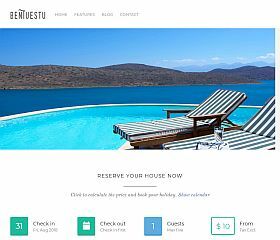 Features of this responsive theme include: 5 unique homepage styles, property gallery, reservation page, locations page, property owners page, optimized for SEO, inquiry/booking form, and more. Bentuestu is a modern solution for WordPress that incorporates a variety of features to deliver a truly striking site. Whether you’re renting out your guest home on VRBO, leasing out a room on VRBO, or looking for a simple way to showcase your bed and breakfast – this theme delivers one of the cleanest vacation rental themes on the market. 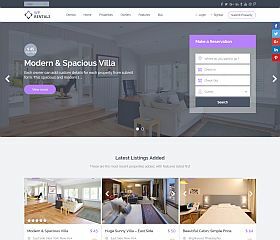 Musa was designed for those wanting to set up a VRBO, Airbnb, or HomeAway-style website – allowing you to easily create your own website and start making money fast. 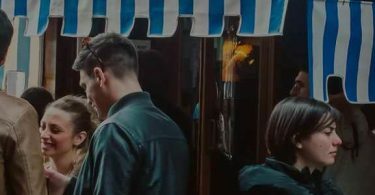 Set up commission rates and start booking guests and even allow owners to easily publish and list their places, rooms, spaces, or whatever niche you’re pursuing. Bellevue is versatile enough to be used for hotels/motels, bed and breakfasts, or even for private spaces and rooms. 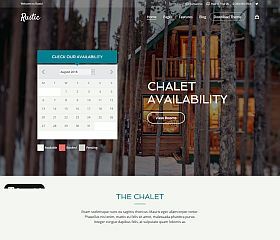 The theme features several demos including: urban guest house, hotel demo, chalet/rustic retreats, countryside cottage, beach house, and cabin on the lake – and includes: integrated online booking, WooCommerce support and integration, custom post types, seasonal pricing, Photoshop files, and more. Bliss provides a great solution for anyone needing a rental theme – with a dual-purpose use for either a single room or property or functioning to manage multiple rooms and properties. Built on Bootstrap this responsive theme includes a free booking plugin, allowing you to take reservations and bookings online. 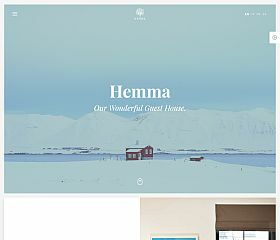 Hemma is a WordPress theme that allows you to rent out your guest house, villa, condo, cabin, room, or other shared spaced. With built-in custom post types, responsive and Retina-ready layout, optimized for speed and SEO, and more custom features – it gives you everything you need to promote and market your property. With the vacation rental industry growing faster than ever (and showing no signs of slowing down), more and more people are purchasing nightly rentals to generate income. From condos and cabins to private homes or even single bedrooms, the supply and demand for these types of non-traditional lodging accommodations only continues to grow with each passing year. This sudden interest leaves many searching for a solution to help them establish a presence online, one that can showcase every detail of your property, facilitate online bookings, and display your availability calendar and rates. 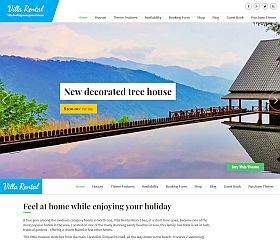 A few WordPress developers have recognized this need and have created WordPress themes specifically for vacation rentals. 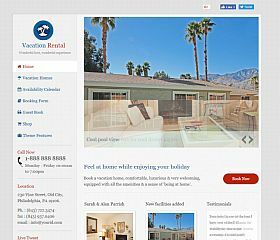 Not only have these themes been designed to work exclusively for vacation rentals, but can be adapted to fit nearly any type of lodging website. While sites like VRBO, TripAdvisor, HomeAway, Airbnb, and FlipKey drive the majority of bookings for these types of units – setting up your own site outside of your listing on those sites will help your drive more traffic (and revenue) to your property. 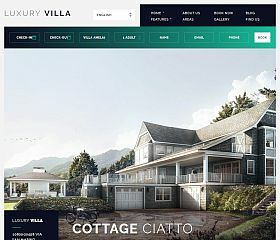 Although the feature set of each of these vacation rental themes differs depending on what each designer or developer included in the layout, they all help achieve the ultimate goal of driving more bookings and showcasing your nightly rental unit. They include all of the necessary components that will at least allow you to show the most important information including: availability calendar, photos, rate schedule, location, and many more content sections which you might want included on your site. 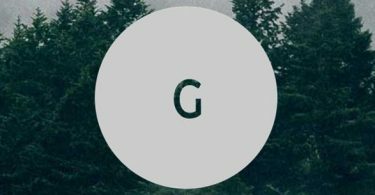 With only a few available options that have been created specifically for renting out or promoting your unit, these themes for WordPress should work for most anyone’s needs.